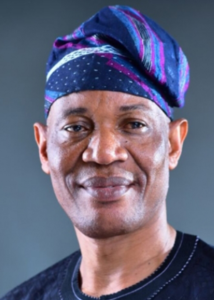 THE All Progressives Congress, APC in Ondo State, yesterday, pleaded with the former Alliance for Democracy, AD, governorship candidate, Chief Olusola Oke not to dump the party saying the issues of humiliation and neglect raised would be looked into and addressed by the leader of the party, Governor Rotimi Akeredolu. Recall that Oke said last week that he regretted returning to the ruling party having suffered untold humiliation. The party, in a statement by the state Publicity Secretary, Mr. Alex Kalejaye said: â€œThe State chapter is taken aback by this claim, because Chief Oke, a notable personality with vast political experience is well respected by the Governor, Rotimi Akeredolu and the State Secretariat of the APC. â€œAs a colleague in the legal profession, the governor regards Chief Oke as a worthy partner in the quest for the political and economic emancipation of Ondo State. â€œAt the level of the party, the State Chairman, Engineer Ade Adetimehin, has always displayed profound respect and appreciation for the political exploits and professional attainment of Chief Oke.